Our hens went on strike and stopped producing eggs! I know that as hens age they will stop laying eggs. And, some of our hens are three years old but, not all of them. Here I am with a barnyard full of hens who used to give 9 – 12 eggs a day and, I am having to buy eggs! What’s wrong with this picture? Even the ducks who consistently laid daily giving us 6 eggs a day stopped and we are doing good to get 1 duck egg a day now! The fact that they stopped laying almost all at once made me do some research. 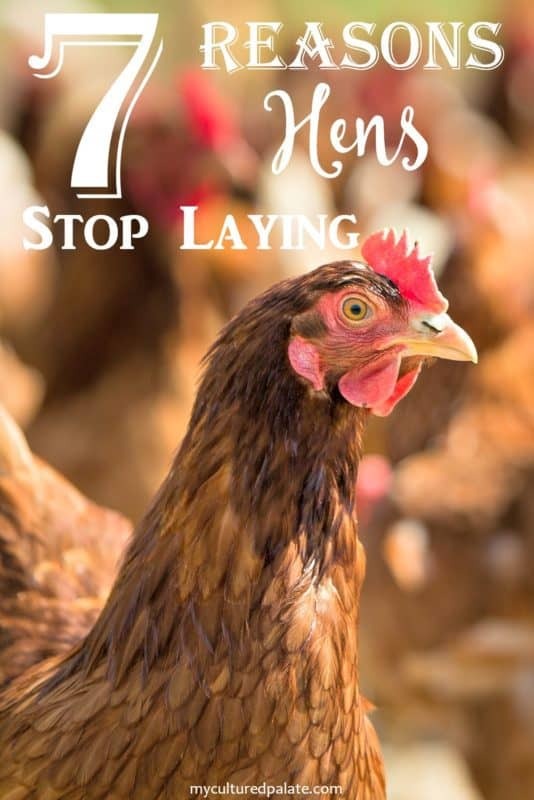 I found that there are 7 reasons hens stop laying eggs. As I said earlier, some of them are older and they did go through a molt. Plus, we had some extremely cold weather for over a week. Will they begin laying again? If not, I have an ace in the hole! We are raising a new flock that these old girls don’t know about and they should begin laying in a few months. I really hope they do start laying again because I love having plenty of eggs to give away – our mail lady loves them! But, if not, they will go into my stockpot and I will make plenty of Homemade Chicken Broth and Cream of Chicken Soup with them! Hens are sensitive to the length of the days. In the fall, when days begin to shorten, egg production can drop off. Commercial egg producers use artificial lights to combat this problem. The backyard chicken owner can do the same if the chickens are kept in a hen house or other building. The total amount of light, whether natural daylight or artificial, should be equal to the longest natural day length the hens will experience during the year – about 9 hours. Hens need good, balanced nutrition to produce eggs. This includes adequate amounts of protein, calcium and salt. Layer feeds provide balanced nutrition for hens. Our chickens free range and are supplemented with locally grown wheat and other grains. Don’t overlook the importance of water in your chickens’ diet! Egg production will immediately drop off if there is not enough water for them to drink! The good new is, after giving them fresh water for a few days, they begin to lay again. After producing eggs for a while, hens tend to molt or lose their feathers. During the molt, they do not produce eggs. Molting gives the hens a chance to rest from egg production, allows their reproductive system to rejuvenate, and they shed old feather while growing new ones. Molting tends to coincide with the change in season. So, hens tend to molt in the fall after they stop producing eggs due to shortening day lengths. As hens grow older (just like us women) they lose the ability to produce eggs. We have a couple of generations of chickens in our barnyard and I really can’t tell you which ones are which. Our oldest ones are about 3 years old! It is natural for hens to want to sit on and hatch their eggs. Some breeds are more prone to this than others. When hens want to hatch their eggs, they will sit on her eggs for 21 days and will not lay any other eggs. Common diseases include colds and parasites. Colds are characterized by slime around the nose area and breathing with her mouth open because she can’t breathe through her nose. Parasites include mites, lice and worms. Typical symptoms include the comb turning pale and constant itching/scratching themselves. A poultry cleaner can be used on the hen house and the hens for parasites. Parasites can also be treated naturally with diatomaceous earth and raw apple cider vinegar. diatomaceous earth dehydrates the worms and parasites found internally. Raw apple cider vinegar acts as a mild antiseptic and mild antibiotic. It will kill some bacteria and germs help stop worms from living in your chickens. Certain diseases may stop egg production and the hens may or may not have symptoms. If a disease is suspected, consult a veterinarian immediately. Especially in the case of Avian Influenza, the whole flock can be lost. Chickens are creatures of habit. They like their routine and do not like change. If you have moved their pen or coop, or have introduced new chickens to the flock, they may go on strike and stop laying eggs! The quickest remedy is to establish a new routine and give them a few days – they should begin laying again. The problem with our hens was the shorter days. We had been using a lamp in the hen house but were not always consistent with turning it on. Once I purchased a timer for the light, the problem was solved and our egg production increased dramatically! The old girls will be sticking around a bit longer – saved from the pot! One neat thing I learned about laying hens is that they should always have an egg inside them if they are still laying. If you feel beneath the v of their breastbone you should feel an egg. If there isn’t an egg they aren’t laying. Neil, that is very interesting – thanks! Thanks, Neil, that is very interesting! One other thing most grocery stores are willing to donate their left over produce towards local farming all you have to do is ask the store and usually just sign a waiver that the food is for animal feed and not human consumption. Not only does this cut down on waste but it helps bolster your hens health for only the cost of gas to pick it up. Neil, I am glad the stores around you will do that! I have asked ours but they will not give it away – they have told me that they must throw it away even when I told them it was for my farm animals – needless to say, I was disappointed! I keep fresh water w/acv (1 cap full per gallon)for my chickens. I put herbs & diatamaceous earth(food grade) in their feed(small amount)and in the coop. I give them layer pellets, old fashion oats, meal worms and sometimes fruit, seeds & vegetables. . I keep their coop clean and fresh, if that is really possible. I even use a natural spray (vinegar, orange peel & cinnamon stick) to spray the coop when I clean. Since the summer, we are lucky to get 1 or 2 eggs a day, out of 13 hens! They will be two in March. They are Standard Cochins and are very tame. They even free range most days. Any ideas from that? Rene’, that is a hard one! It seems that you are doing everything right. I have never had Standard Cochins but my first thought is to do a search on that breeds normal laying cycle. Let me know what you find! That final paragraph – about being saved from the pot – is disgusting, offensive and lacking in tact. Your website ranks high for this search, which means people who love their chickens looking for information find it. I hope you aren’t as evil as this post made you sound. Jan, it was not my intention to offend anyone and I am sorry for offending you. However, our chickens (and I do love them) serve a purpose on our farm and that is to give eggs. It is fine to eat the eggs, as well as, to enjoy the meat of the chickens in my opinion. There is a price to pay for all the food we eat. 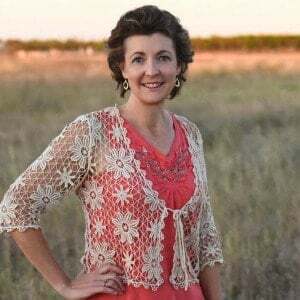 I want our children to know where their food comes from and that it is not from the meat counter at the grocery store. I am not an evil person just a realist.